If you are considering a hybrid vehicle for your next car, then you owe it to yourself to test drive the latest version of the top-selling hybrid of all time -- the Toyota Prius. With its striking exterior design, intuitive cockpit, and versatile cabin, the fuel-sipping Prius is tough to beat in the hybrid segment. Freedom Toyota would like to invite car shoppers in Hamburg, PA to test drive and explore a new Toyota Prius at our authorized Toyota dealership. Others have tried to knock the Prius off its pedestal atop the hybrid hierarchy -- but to no avail. Let's see how the Toyota Prius compares to one of its hybrid rivals, the Ford Fusion Hybrid. For starters, the Toyota Prius can't be matched by Ford's Fusion Hybrid when it comes to fuel economy. That shouldn't come as a big surprise, though, as the Fusion Hybrid is a variant of Ford's popular mid-size sedan, while the Prius is a dedicated hybrid vehicle that was developed first and foremost for exceptional fuel economy. 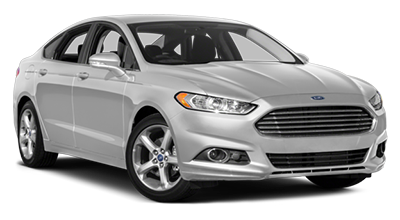 While the Ford Fusion Hybrid is longer in overall dimension than the Prius, its cabin and cargo area isn't necessarily more usable than that of the Prius, since the Fusion Hybrid features a traditional sedan layout. The Toyota Prius, with its iconic wedge-shaped hatchback design, makes cargo loading simpler. With its folding rear seats, the Prius hatchback's taller cargo area can expand into the back seat when rear passengers are not present. 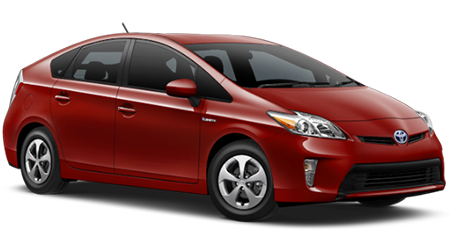 For a more fuel-efficient and highly versatile hybrid, the choice is clear: the Toyota Prius! Come and see what has made the Toyota Prius the top-selling hybrid of all time, by test driving one at Freedom Toyota; we proudly serve drivers near Hamburg, PA. Before your visit, feel free to shop our current inventory of Toyota Prius hybrids here on our website, and get yourself pre-approved for a new car loan.